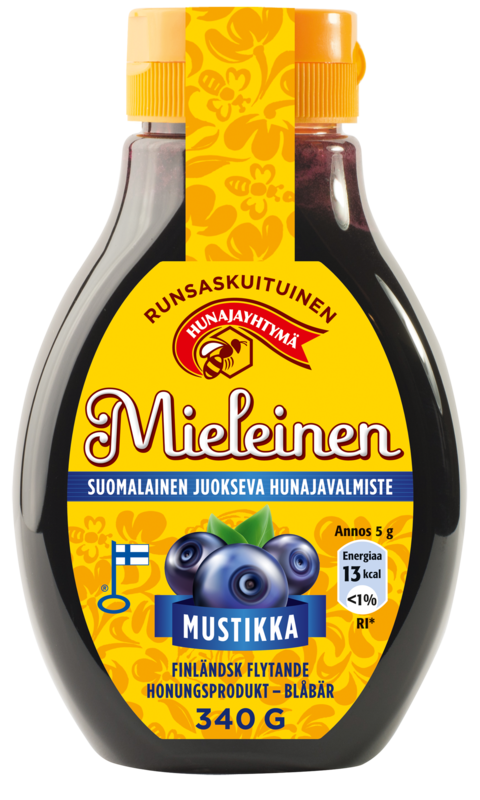 Bilberry-Mieleinen combines the gentle sweetness of Finnish honey, the health-promoting flavonoids and vitamins of wild bilberries as well as stomach-pampering fibre. This delicacy is perfect as, for instance, a topping for deserts, with porridge or muesli as well as added to hot and cold drinks, or to add flavour to smoothies or yoghurt. EXPORT PRODUCT.